Kenya’s Eliud Kipchoge smashed the marathon world record by clocking a time of two hours one minute 39 seconds in Berlin. 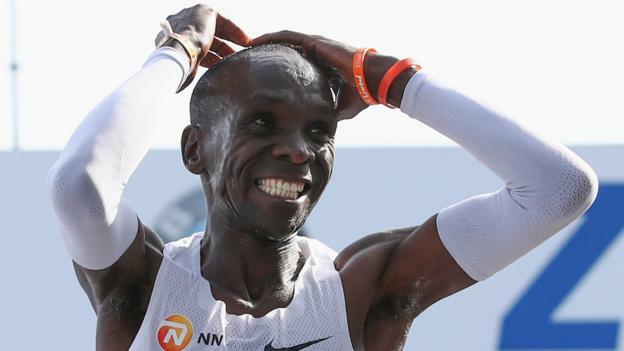 The 33-year-old took nearly one minute 20 seconds off the previous best, which was set by compatriot Dennis Kimetto when he ran 2:02:57 in Berlin in 2014. Kipchoge won the London Marathon for a third time earlier this year and is the Olympic champion over the distance. The Kenyan clocked 2:00:25 but because pacemakers who could swap in and out of the run were used, the time was not recognised as a world record.